Photo by Gethin Thomas, courtesy Super Critical Mass. 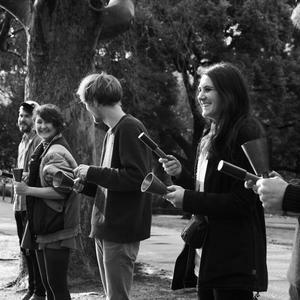 Directed by Julian Day, Luke Jaaniste and Janet McKay, Super Critical Mass is a large-scale participatory project that disperses homogeneous sound within public places such as churches, parks, laneways, malls and galleries. 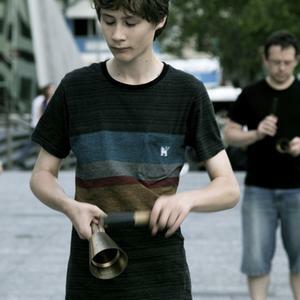 Temporary communities of performers undertake simple sonic tasks using identical mobile sound sources (flutes, bells, voice) to articulate the social, spatial and sonic parameters of each location. 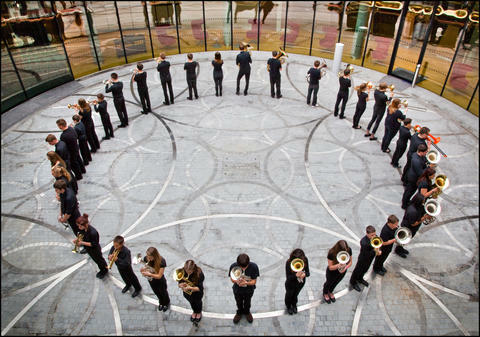 Recent projects have included a work for massed brass (staged around the Lake in New York’s Central Park), an installation performance for 100 flutes at CarriageWorks in Sydney, and voices flooding an emptied Manchester Cathedral.